VeryPDF PDF Table Extractor is designed to extract PDF table data to Microsoft Office Excel files. It supports Excel (.xls) and comma-separated value (.csv) files. Users can manually divide the table columns and then save the data to an Excel or CSV file. 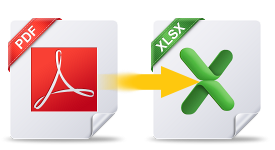 With this application, you need not copy and paste to import valuable data from PDF table files. 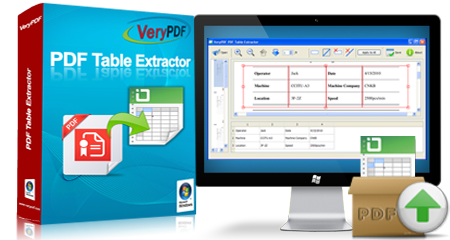 VeryPDF PDF Table Extractor can export table data to Microsoft Excel files. With this feature, users can easily import PDF data and text of, such as statistical forms, to Microsoft Excel and use them in the future. 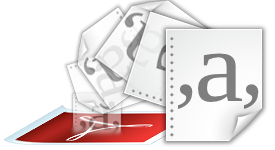 VeryPDF PDF Table Extractor supports an output format of CSV (comma-separated value). You can use this application to export PDF files, for example, address books, to CSV files. Because CSV format is accepted by most contact managing applications, you can use this feature to import contacts in PDF. VeryPDF PDF Table Extractor provides a tool to divide table columns manually. 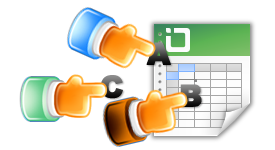 The divided text in separated columns will be exported to corresponding Excel sheet columns. With this feature, you may control which text to be which columns. Support output format of Excel (.xls). Support output format of CSV (.csv). Export data of all pages with one template.